The site you are visiting is owned and operated by imknitting. Your privacy on the Internet is of the utmost importance to us. At imknitting, we want to make your experience online satisfying and safe. Because we gather certain types of information about our users, we feel you should fully understand our policy and the terms and conditions surrounding the capture and use of that information. This privacy statement discloses what information we/our partners/ advertising companies gather and how this information is used. 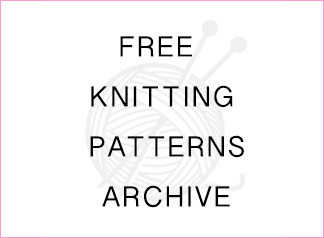 Free Knitting Patterns, Offers free knitting and Crochet patterns, knitting tutorials and knitting related documents.